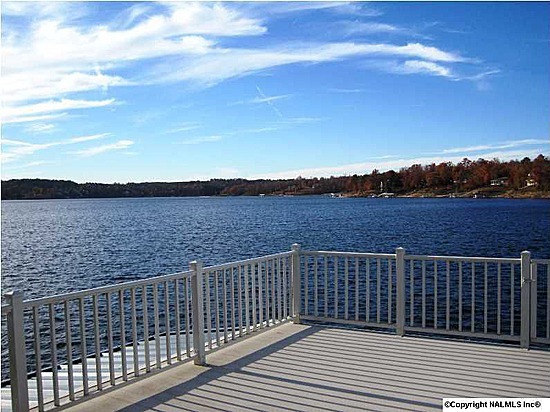 Flat lot, awesome dock and views! Gorgeous house with a breath-taking view! 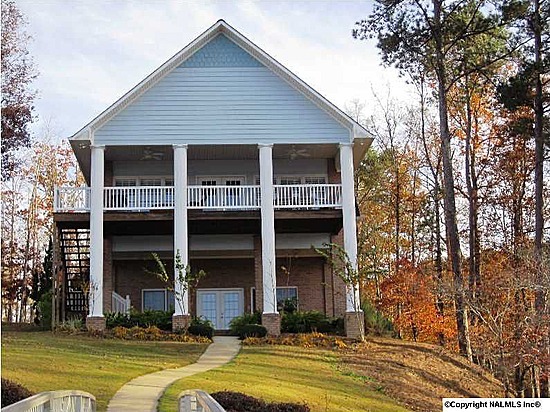 4,000 sq ft house has spacious rooms, lots of windows and two huge outdoor living areas! Actual Eagle's Nest high in a tree on the property! Deep crystal clear water, with 175 of rock shoreline on the main channel of the Sipsey. 4 full bedroom suites with private bath and additional bath on the main level. The lower level features a sitting room and two bedrooms. From here, walk to the lower terrace and it's an easy walk to the boat dock (no steps). 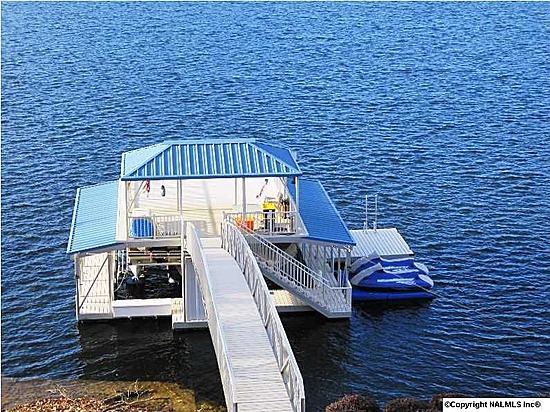 Boat dock: double decker with sun and shade areas on the upper level with plenty of room family gatherings. Lower area has a deep water slip to store your boat and a swim/fishing/sun dock with ladder and plenty of toys for the young. 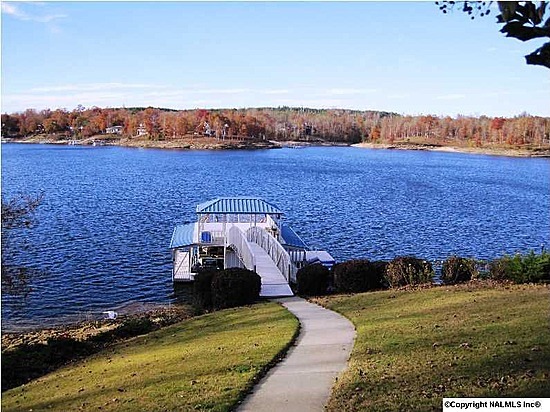 1 slip will be available to renters (no boat lift available). 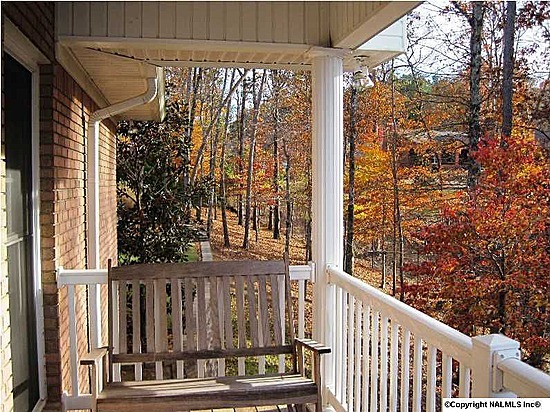 The master bedroom is located on the main level with a sitting porch overlooking the lake. The master spa bath has two separate vanities, a large whirlpool tub and a walk in shower. There are two full bedrooms on the lower level each with its own bath and the upper level (formerly a media room) is a bunkroom that sleeps up to 5 with bath. Laundry room on main level and a new large capacity washer and dryer on lower level. Gourmet Kitchen - new wood floors, granite countertops and top of the line Stainless Steel appliances, including gas cooktop, microwave, oven, quiet dishwasher and giant refrigerator with 2 ice makers well as an additional refrigerator/freezer with an ice maker in the garage. Luxury Spa Master - with its own spa bathroom and private balcony, 55" HD TV, all new wood floors, furniture (including a memory foam mattress) and lighting. Great Room - New rock fireplace, wood floors, cozy furniture, 65" 4K HD TV with stereo sound system which can also Bluetooth your favorite tunes, all new furniture in both living area and dining area which has seating for up 10- 12. Bunkroom - brand new furniture, mattresses, bedding, wood flooring, rugs and sleeps up to 5! Lower Level Living Room - new antique brick tile flooring, oriental rugs, a desk, books and games and a game table. All new plush sectional seating and 70" 4K HD TV w/ surround sound, perfect for a family movie night, you provide the popcorn. Downstairs Bedrooms - 1) king suite 2)queen suite both w/ own private bathrooms and walk in closets. All new furniture, linens, carpeting, lighting and loads of extras. Upper and Lower decks - Furnished with new furniture for both dining and gathering and provide the perfect setting to watch the incredible sunsets. The lower level patio has new antique brick flooring and new family sized gas BBQ grill. Direct TV in downstairs and main level living areas and Master Bedroom. AT&T and T-Mobile service is good, Verizon service is spotty. Gas Fireplace is not available for use.